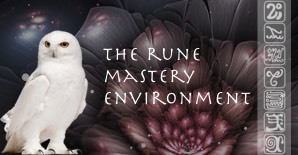 The Anutiama Dashboard environment makes the Runes easily accessible so that they likely become a central part of daily guidance and manifesting a life of grace. Visa, Mastercard, American Express and Apple Pay are processed through our payment handler Stripe. You will not leave our site. You will be redirected to the PayPal website after choosing this payment method where the payment will take place. After the payment you will return to Anutiama. You do not need a PayPal account to use this payment method. Credit cards: Visa, Mastercard, American Express and Discover. If you have a PayPal account linked to your bank account, payment may be made in this way. Select as payment method for Bank transfer. The bank details and instructions needed to transfer the money will be listed in the order confirmation, which you will receive by e-mail after placing the order. The order will be sent or access to digital content granted as soon as payment is received. If you have any questions about our payment options, please contact our Customer Service through our Contact page. Please do not forget to mention your name. Anutiama (anutiama.net) is dedicated to the Runes material from Spiritual Journeys and Almine's current and earlier material that can be used in combination with the Runes. Copyright © anutiama.net. All Rights reserved.